The Leela Palace New Delhi is located in the heart of Delhi’s prestigious Diplomatic Enclave, and is arguably the most luxurious hotel in town. The palace offers shameless opulence on a grand scale, with 260 spacious rooms and suites equipped with ultramodern technology. The Leela truly redefines luxury and excellence, boasting magnificent high ceilings, glittering chandeliers and graceful, elegant spaces. The hotel is adorned in a collection of exclusive contemporary artworks from India’s leading artists, including Satish Gupta and Satish Gujral. Along with an expansive collection of luxury art, the hotel features grand gold-leafed domes, hand-woven Turkish carpets and fine Italian décor. 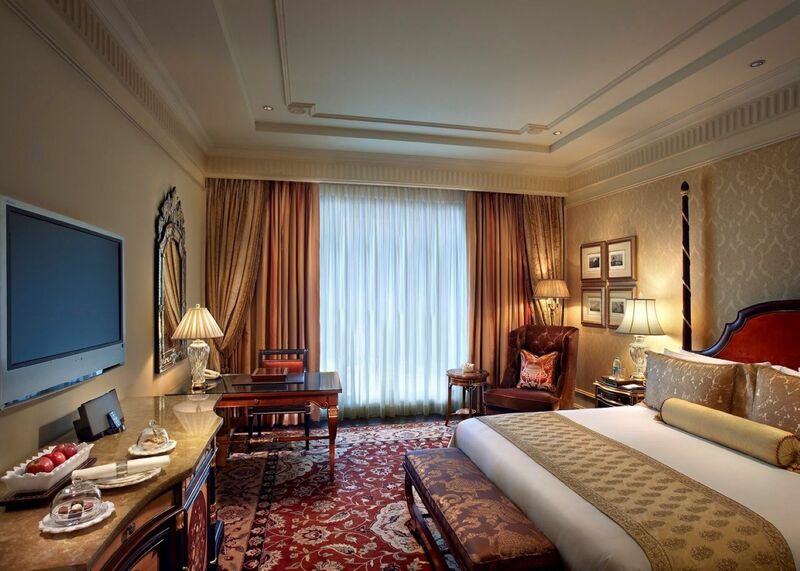 There are several categories of rooms and suites, from the Grand Deluxe Room to the Presidential Suite. Each room is lavishly adorned with luxurious bedding, ornate furniture, fine marble bathrooms, a lavish mini bar and iPod docking stations for both him and her. The Presidential Suite offers eight rooms of unstinting opulence, with 24 hour butler services, Rolls Royce transfers, a private study, dining room, gymnasium and walk-in wardrobe. Dining is a grand affair at the Leela Palace, with five award-winning restaurants and lounges to choose from. The Qube is a glasshouse with live kitchens, where the chef will prepare a vibrant array of cuisines right before your eyes. The Jamayar offers traditional Indian fare, whilst Megu features modern Japanese dishes. 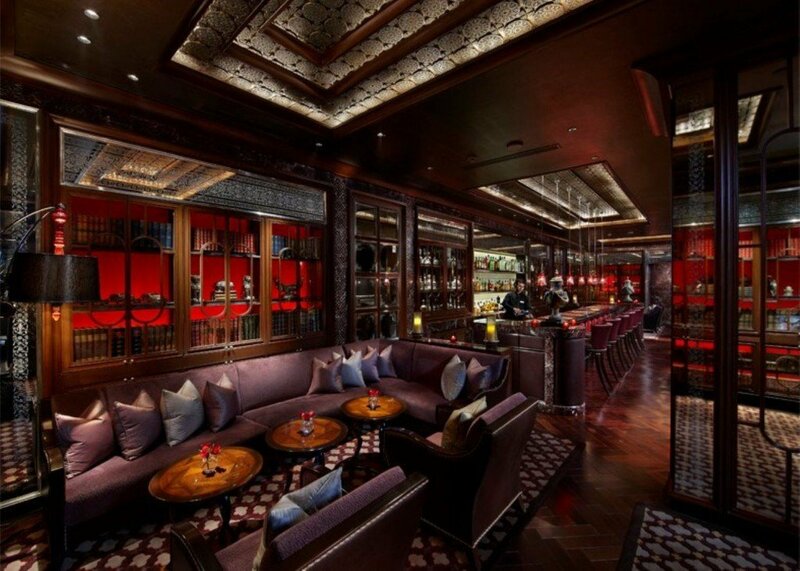 The Library Bar is an atmospheric and relaxed lounge-bar, whilst the New York restaurant Le Cirque offers a gastronomic delight with a fusion of French and Italian cuisines. The Espa spa sprawls two floors, with a health bar, fitness studio, relaxation lounge, finishing studio, roof terrace and sauna, steam and drench rooms. Treatments are holistic, ethically sourced and offer only the purest organic ingredients. 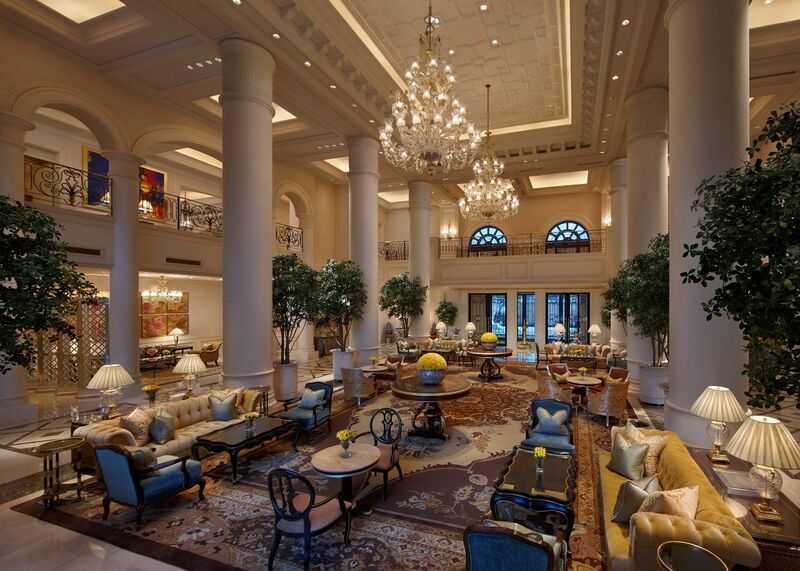 The Leela Palace continues to redefine the meaning of luxury in New Delhi, and will ensure a truly dignified experience. Rooms at the Leela start from ₹20,000 per night, inclusive of breakfast at Qube.